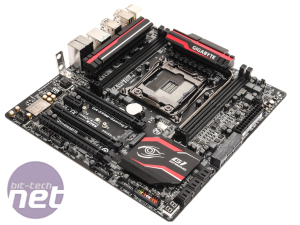 If you're aiming to spend big on an Intel X99 system with several GPUs and an enviable specification, then there's plenty of choice as far as full-size motherboards go. 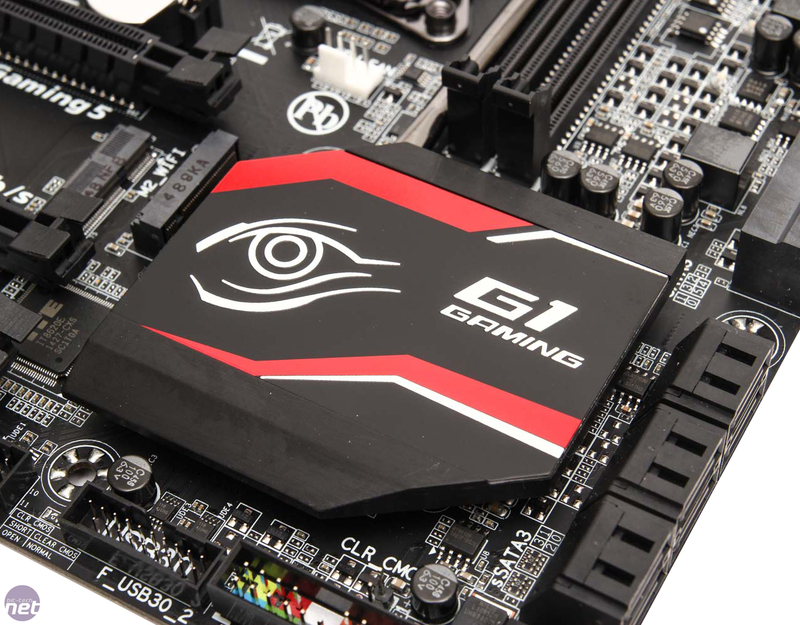 However, if one or two GPUs are likely to be your limit and you also fancy building a micro-ATX system to save space, then there are only a handful of choices when it comes to motherboards. Thankfully, Gigabyte has joined the fray with the X99M-Gaming 5. 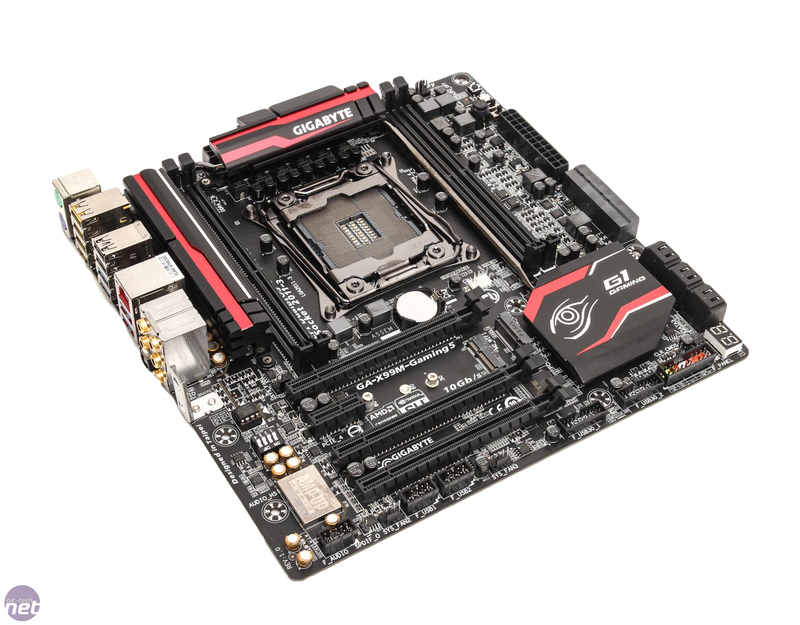 Asus is sadly absent from LGA2011-V3 as far as micro-ATX motherboards go, so you're otherwise limited to a small selection from ASrock and EVGA, including the Fatal1ty X99M Killer or EVGA X99 Micro with the ASRock board being a particularly good choice. 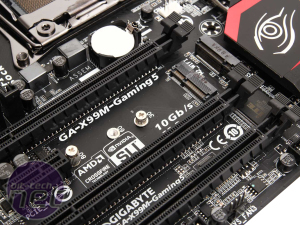 The X99M-Gaming 5 undercuts both of these by a noticeable margin though and at £174, it's also one of the cheapest X99 boards we've reviewed. Despite this, though, it has a fairly substantial set of features. 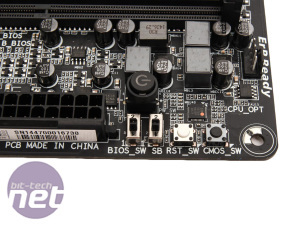 Both SATA Express and and M.2 are here with the latter located between the top two 16x PCI-E slots sporting a stacked dual-slot setup with a 30mm slot at the bottom (Type 2230) and support for up to 80mm modules at the top (Type 2280) . Rather than increase the price and offer a bundled WiFi module that many won't use, there's a mount for antennas on the rear I/O panel. With 40-lane CPUs the top two 16x slots offer the full 16 lanes of bandwidth each in two-way CrossfireX or SLI. 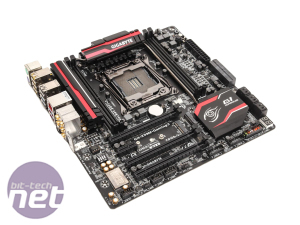 The lower slot operates at 8X but drops to 4x if you're dealing with the lane-restricted Core i7-5820K, whereby the middle lane will also drop from x16 to x8 x8. Of the 10 SATA 6Gbps ports, two are shared with the Type 2280 M.2 port so if you use an SSD in the latter, the former will be unavailable. 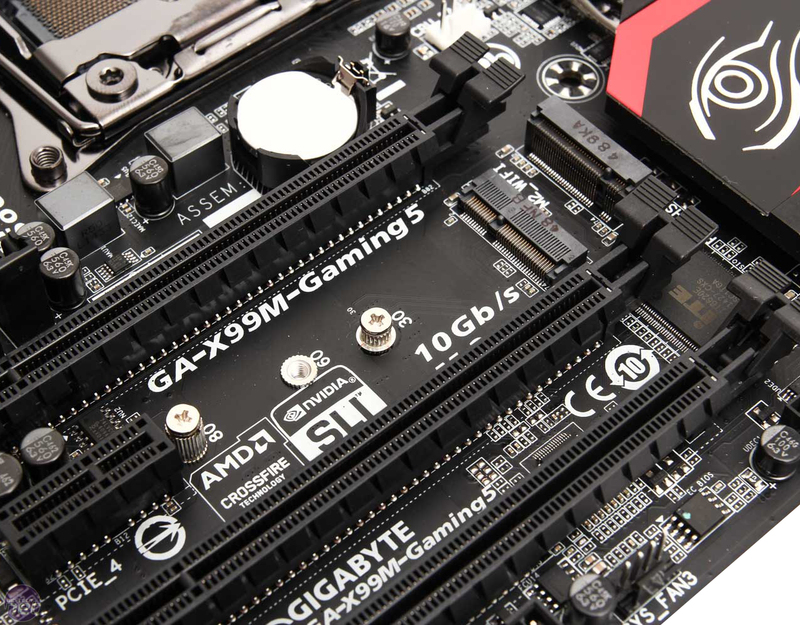 In addition to the three 16x PCI-E slots, there's a further 1x PCI-E slot - something neither of the X99M-Gaming 5's aforementioned competitors possess, although its likely to be of limited use seeing as a dual-slot graphics card will render it useless. If you're water-cooling the card, though, then it comes into play and provides an extra feature over its competitors. 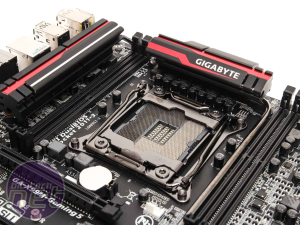 Amazingly, Gigabyte has also been able to beef the audio and provide the full suite of overclocking tools as well. There's a dedicated USB DAC port, an upgradable OP-AMP and high quality audio capacitors with Gigabyte claiming up to 115dB SNR. 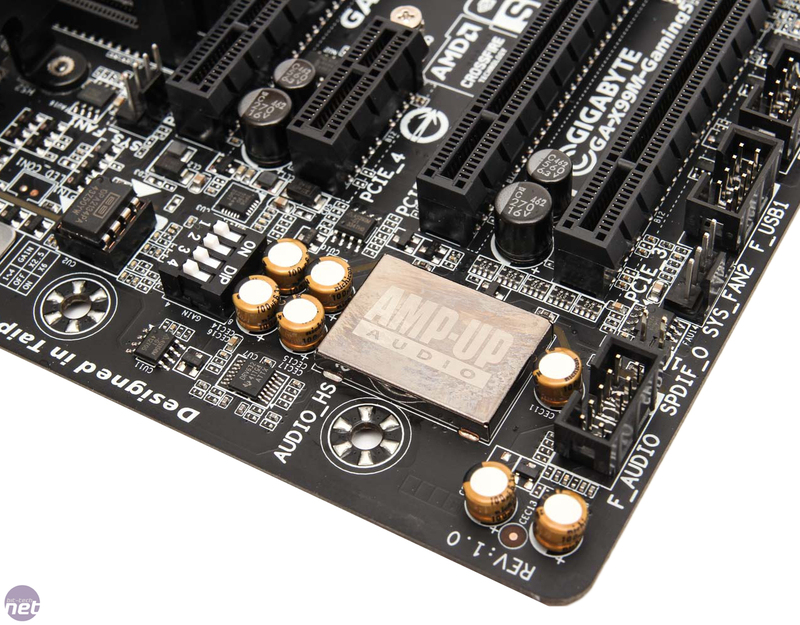 As far as overclocking tools go, there's a dual switchable BIOS, onboard power and reset buttons plus a CMOS clear switch. 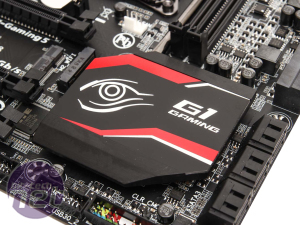 In short, you won't be left wanting when it comes to testing and extreme overclocking. 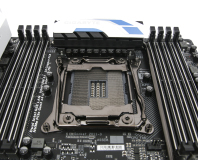 Despite all this being crammed onto the PCB, Gigabyte has still managed to fit a large trio of heatsinks, all connected via a single heatpipe - another feature neither of its closest and more expensive competitors offer. 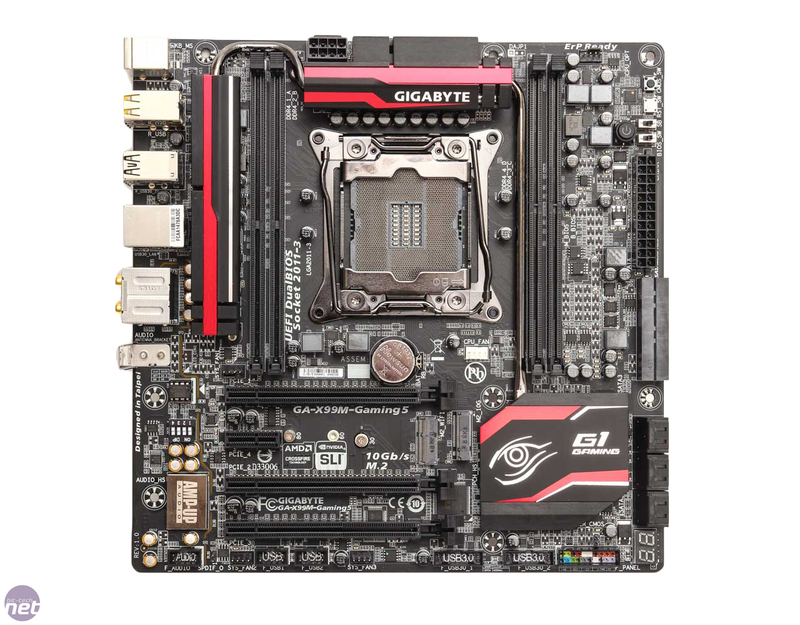 Layout is overall pretty good with right angled storage connectors and plenty of room around the CPU socket. We do have some niggles though. 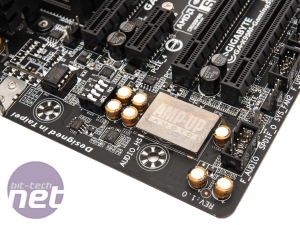 The 8-pin EPS 12V connector can be tricky to reach being placed right next to the top heatsink. 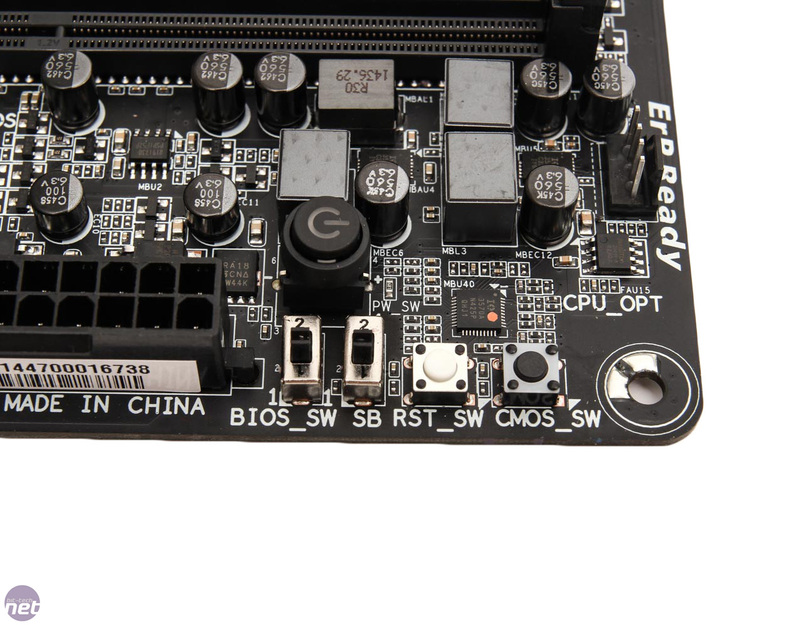 As we've already mentioned, the 1x PCI-E slot will be completely blocked by a dual-slot graphics card, and the M.2 port will be obstructed too but here at least you can still use them. 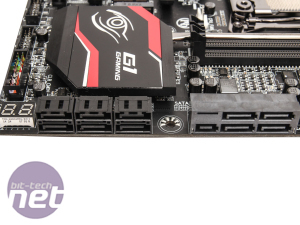 As with its competitors, though, the main issue is two-way graphics setups; the first and second 16x PCI-E slots that you need to use for 16x/16x mode are close enough together to only allow a small gap between dual-slot graphics cards. As with the 1x PCI-E slot, if you plan on water-cooling the cards then this won't be an issue but if you bung in two R9 290X's for example, then throttling could well be an issue for the primary graphics card. 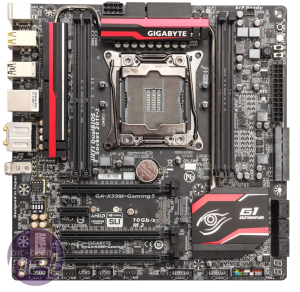 However, we can't hold too much against Gigabyte here as every micro-ATX X99 board we've tested so far has the same issue. In short, to avoid these issues, use a single GPU or water-cool two-way setups. 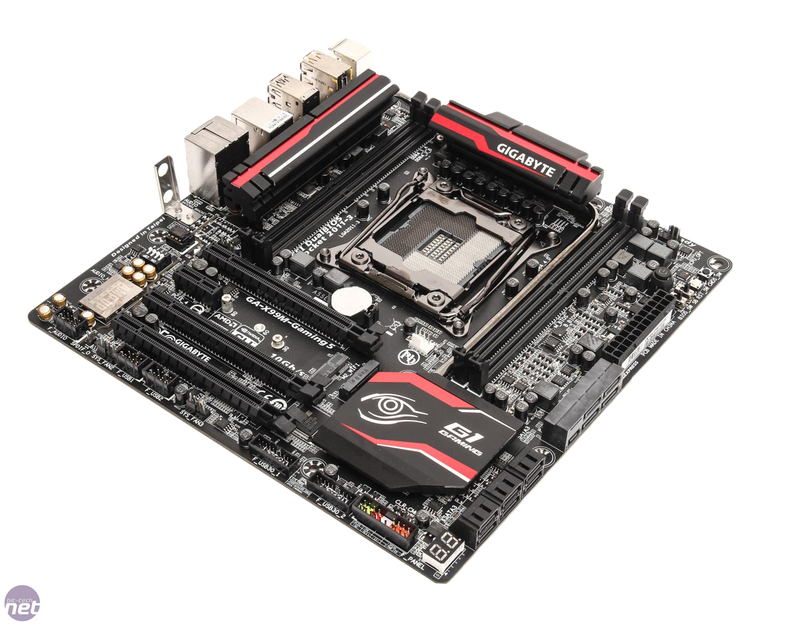 Aesthetically, the X99M-Gaming 5 will likely please a lot of potential X99 owners out there that weren't too keen on the bold red colour scheme of the Fatal1ty X99M Killer and found the X99 Micro a little over-priced. 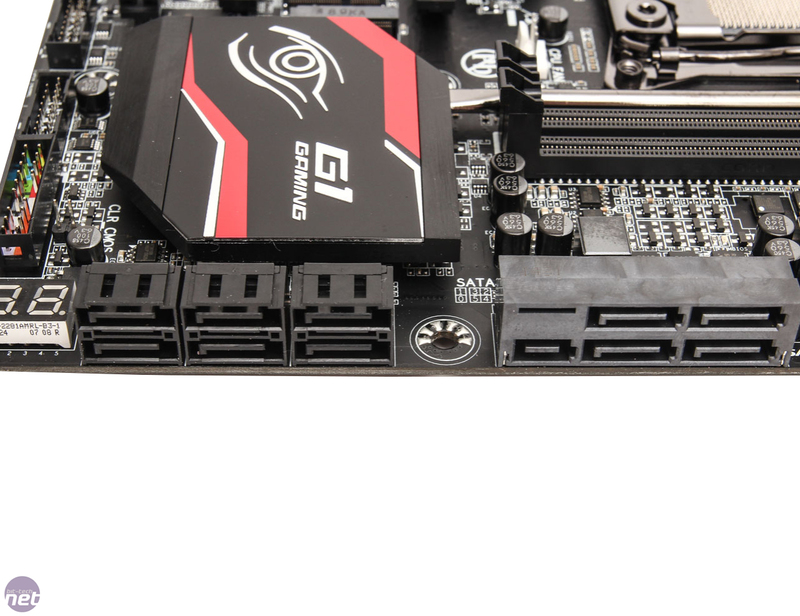 To add a little pizazz, Gigabyte has introduced a funky lighting feature around the audio circuitry too. The see-through isolation line is lit up from below and the light can also be set to pulse mode or even beat according to the music that's playing. Networking Qualcomm Atheros Killer E2200. RGB lighting, steel plated slots, illuminated RAM slots and more. 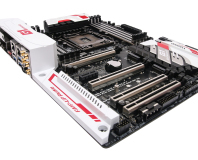 What do you get if you spend £400 on an X99 motherboard? Pretty much everything.